In today’s highly competitive and globalised world, precision and consistency are no longer luxuries, especially in manufacturing. Expectations of quality, reliability and performance are constantly increasing with technological advance. In today’s world there are no excuses. Satisfactory finished products start with top class raw materials. Customers quite understandable expect nothing less. Rubber compounds are absolutely no exception, especially for critical applications. They must be precisely to specification, first time, every time and if called upon the supplier must be in a position to substantiate the fact. 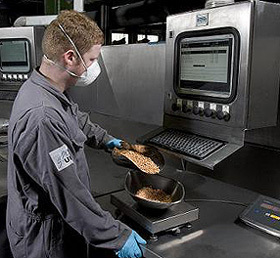 To set new standards in the precision, consistency and quality of rubber compounds. To provide instantaneous full batch traceability of every batch, irrespective of size, complexity or frequency of manufacture. We pride ourselves on having achieved these objectives. We invite you with confidence to expect more from SPC companies.